I know this may of been covered before but due to a recent event I'd thought I would share my now adjusted view of things. I have a few kids, my thought was to provide each of them a used (5 to 8 years old) Corollla or Civic for their first car which would be sold to them for a nominal fee once out of school and gainfully employed. The cars provided were not a given, they were carrots dangled for achievements (Eagle Scouts, National Honor Society, combined nearly a dozen scholarships between the kids, they all started working part time at 16, etc.) and they always "earned" them to a degree IMO. My oldest son got a Corolla S several years back, he was tickled pink since it was a 5 speed and metallic red. It had 2 front airbags, no traction / stability control and no ABS. Luckily only a fender bender has been endured thus far but I gotta admit I've always had a worry about the lack now standard safety features. Awhile back it came time to cut the wifey loose from the minivan since it was racking up the miles and soon most of the kids would be driving lessening then need for it. Why not get something a little nicer (vs. the Corolla bought prior) and let her drive it for a year then hand it down to the daughter then let the wife pick out a new vehicle of her choosing which is what we did, it worked out great. Fast forward a year to a little over a week ago....another teenage driver completely blows a red light and smashes into my daughter's Civic moving the front end nearly a foot to the left, blew every airbag in the car (6 of them) and spun the car totally in the opposite direction. My daughter and her friend Abby emerged (save for a little soreness which lasted a day or two) totally unscathed, I could not believe it after seeing the car. Had she been in a car without all of the modern safety features I HIGHLY doubt she would of fared nearly as well. I am now totally rethinking putting my youngest into the Miata were currently run in SCCA Solo, at least for a couple of years or so. If you would of told me a decade back that I would of spent what I did for a car as new as it is for a kid I would of LMAO, now I see it as money well spent for the safety aspect of it. I am extremely glad to hear that your daughter was safe. Where I live the roads are skinny and my specific schools is actually notorious for driving deaths. We lose around a kid each year sadly. Somehow people still have the nerve to text despite the death totals being likely near 20 at this point counting recent graduates who also tend to commonly lose their life. It's very freighting that your car can have all the active safety in the world like a boxster or Miata, you can be completely attentive and never ever plan to text, and you still can suffer injury or worse from someone else's mistake. 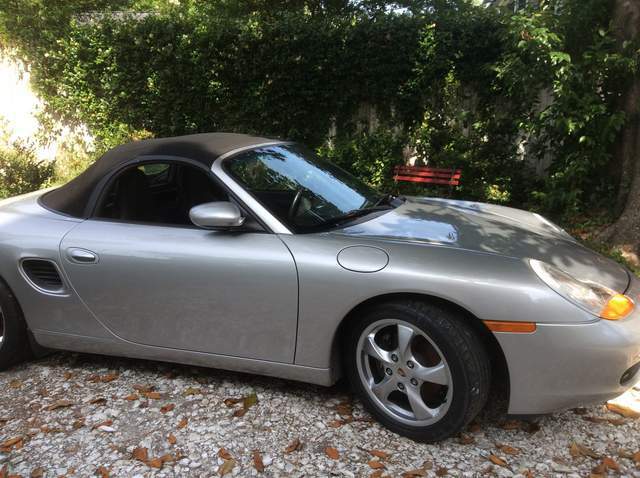 I personally was hell bent on a roadster and after educating myself on cars some I found the boxster to be safest and most practical. It aligned well with my personal values, was unique, and well built. And my father had recently switched employers to a Lexus dealer which was in group with the local porsche providing discount maintance. Making thigs as affordable as at least a z3 or z4. My parents both have made extremely sure that I know how to drive defensively and take driving extremely serious. Everyone at school wants to go for a ride in the porsche or see it do a burnout. And despite being a kill joy I make the right decisions. I know people with tahoes, rx-8s, fr-s, Mazda minivans, jeep liberties and everything in between and with each vehicle it's down to the driver. Buying a kid a sports car doesn't mean they will speed everywhere, I know people that go 100 in durangos, something way more at limits for the car then In a boxster or Miata. It is all a tough decision, you can not go wrong with modern safety though. Miatas are extra small even in comparison to boxsters and with so many out their in large vehicles it is a real danger. I can honestly say that my boxster has saved my life though so the active safety is a clear benefit, I came around a blind corner downhill once, forested with large ditches on each side. Just as I come around the bend I see a very large cherry picker in oncoming with its two inside wheels in my lane on the already small hill. I was going maybe 5 over at the time. Not to mention this hill quickly leads to a stop sign at the bottom of this curve that literally mimics the corkscrew of Laguna seca to a lesser extent. I had to decelerate, around a tight bend, while manuvering the car left onto the small patch of grass next to the ditch maintaining the line of the curve and still stop in time for the stop sign. In the case I was In an suv or many other cars with my lack of skill I would have likely ended up in the ditch or have sideswiped the cherry picker at the least. I have had two friends rear end other people because they locked up their breaks, not knowing that to meneauver around something you must let off the break. I guess to sum up my large thought dump, car safety both passive and active matter a lot but large focuses are on making sure that your kids respect the road, know not to text, and can drive defensively. That'll be all for my thought dump. My daughter and her friend Abby emerged (save for a little soreness which lasted a day or two) totally unscathed, I could not believe it after seeing the car. Had she been in a car without all of the modern safety features I HIGHLY doubt she would of fared nearly as well. No modern safety features. My head shattered the windshield. Took the doctors awhile to scrape the glass shards from my face...........without anesthesia. Hug your daughter close tonight. Glad to hear that your daughter and her friend are safe, and the airbags did their jobs. I was in a nasty accident a few years ago, luckily not in the 986, and it took about 6 months before I started to have major back/neck issues, which are still ongoing. Glad to hear that everyone was safe, and I hope they took away the license of the kid that hit them. Last edited by rick3000; 12-02-2014 at 08:24 PM. Both girls had follow up visits with docs afterwards, all checked out fine. My daughter went through knee surgery last June and it was again swollen, X-rays said all was well, just bruised. I went through something similar several years back in my then beloved GTO daily driver, a kid who had his license for all of 4 days pulled out directly in front of me, yes he was on his cell phone. My neck / back bothered me for a couple of weeks but eventually turned out fine. I put each of the kids through "Street Survival" school and other safety measures within the first year of driving, you just can't always account for others' carelessness which was pretty much the point of the post. I'm as tight as two coats of paint when it comes to spending money but on this topic my attitude has definitely changed. it doesn't sell in a year -- it will be. she'll be behind the wheel. I'm also a member at a local road course track - hoping to enroll her in some car control skills. I would FOR SURE enroll your daughter in some car control courses. As we all know here the RR and MR cars have a tendency to kill everyone (slightly exaggerated). Seriously, one corner in the rain and she gets on gas at the wrong time she will end up backwards. First generation Cayenne's are getting relatively cheap. Why not sell the 986 and buy one of those? Just an idea! Familiar with that -- my wife took my old S for a spin....... getting on the gas is the first mistake -- its the sudden lift that puts the nail in the coffin. Exactly! Takes experience to drive one of these cars. The Street Survival class is one day long put on by The Tire Rack and BMW Club, cost is ~ $75 and well worth it imo. 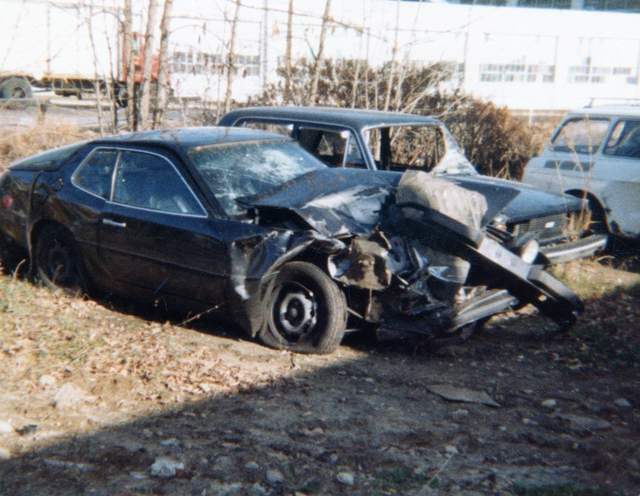 Tire Rack Street Survival | "Teaching Your Teen Driver to Survive Behind the Wheel"
Did all the right things with my daughter in terms of training and this still happened. A safe car adds that extra layer of protection. In this case it was a multi car pile up caused by someone cutting in and hitting the brakes hard and every else not keeping enough space to be able to stop safely. She was at the back end of that pile up. Fortunately she was relatively unhurt with just some bruising and scratches. The Beetle was totaled. Since she had her provisional license and was at fault she could have lost her license. The judge went "easy" on her and put her license on probation for 2 years. If she got any ticket or another accident she would lose her license for a year. Arizona is pretty strict with young drivers. She is also paying for the increased insurance costs out of her pocket. 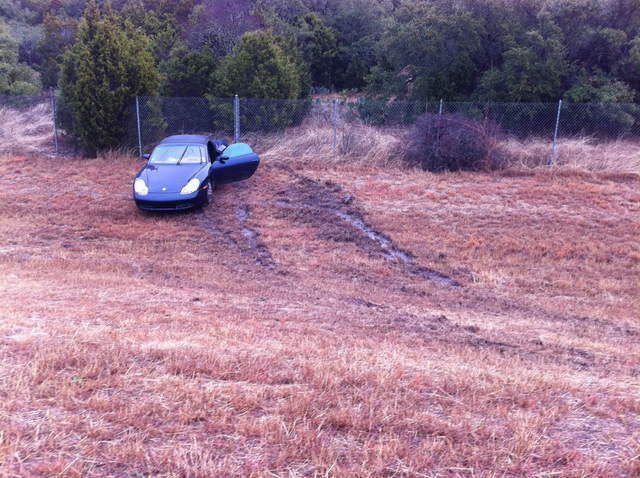 I would not recommend a Boxster or any Porsche for a young driver. Too much of a temptation to do something stupid. A nice boring used four door mid or full size sedan is the route to go. My daughter is now driving a 10 year old Honda Accord. Last edited by Porsche9; 12-03-2014 at 07:24 PM. Completely Agree. Seningen's situation is that it's (Boxster) sitting there so a readily viable option. All my kids are different, I'd trust the daughter in a Boxster, the others not so much. Last edited by coreseller; 12-04-2014 at 06:11 AM. I would not recommend a Boxster or any Porsche for a young driver. Too much of a temptation to do something stupid. A nice boring used four door mid or full size sedan is the route to go. Not that a porsche is the best option but I know kids who go way over in minivans, Kia sorentos, we had a girl get her licenses suspended for 90 in a 75 in her 2014 Cherokee. We've had kids get in wrecks in accords, Mazdas, and jeeps all from speed. If a kid is going to drive stupid they will anyways, however peer pressure is stronger In a sports car. The way I see it though, a majority of teenagers I know go between 10 to 15 over with a decent amount pushing it to 20 or 25. Roads a 35 skinny country road most teens go 45 to 60. Considering this, it may be safer to put your kids in a car that is composed at these speeds. yea, but how many minivans, Kias, Accords, Mazdas, and Jeeps get run over by a red pickup? Very lucky I am, but you have to remember a lot of the kias, accords, and jeeps of this world cost no less than some of the 2.5s out there with side airbags and full crumple zones in the back and rear, featuring rollbars, thick doors, and a very strong windsheild, they do cost a fair amount to maintain but the sum of the parts alone cost nearly the same as several 2.5s, I would hate to think of these cars as expendable, but roller values are fairly close to what a decent 2.5 can be had for. I am very glad that I had a 2.5 and an auto first though, I have matured and gained experience since I first started driving, still with a long way to go too. Regardless though, the point holds that a mundane car will in no way stop a kid from speeding. A slightly more visceral car (particularly manual) will prevent texting and distracted driving as well. Glad that everyone was ok, that is all that matters! I'll say that the car doesn't matter at all. Kids kill themselves in Civic's and Accord's every week. If they're going to drive fast, they will do it in a Kia just as well as a Boxster. Very few of us grew up with Porsche's but I bet that we all drove our parents POS cars way fast enough to kill ourselves. Nothing has changed between generations. If the kid is hellbent on driving like an idiot I agree that they'll do it in whatever is available be it a Boxster or Checker Marathon cab. Stupidity on their part would somewhat negate my concern for their well being.